He's adorable!! What a big smile!! Just lounging around in his elmo floatie...too cute!! What a cutie! 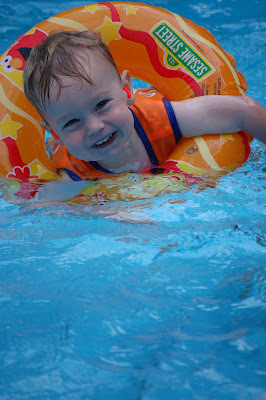 Looks like he loves the water, which is a good thing!